Your path to quality begins with Princeton’s unmatched customer service on your precision machined components. Our turn-key operation hs been established to provide a one-stop destination to fulfill your machining needs. 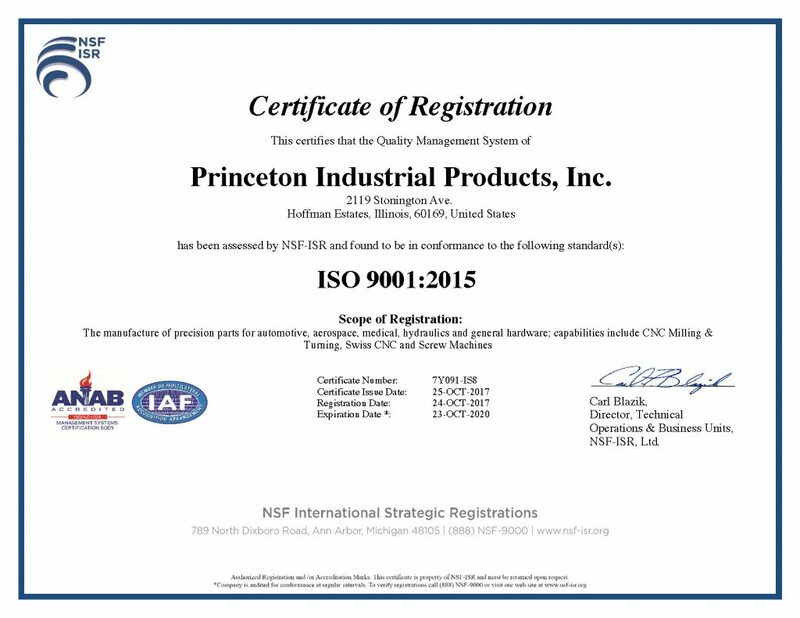 Princeton continues to be a certified supplier for many well-known respected companies in aerospace, automotive, defense, military, hydraulics, telecommunications, pneumatics, electronics components, medical parts, OEM’s, and a host of other tier 1 and tier 2 companies.